Not only those with a big, twirly moustache will be felicitated but the allowance for the upkeep of moustaches has been jacked nearly five times from Rs 50 to Rs 250 a month. LUCKNOW: By mulling to revive the award for most robust moustache, the PAC authorities have given a sound reason to jawans of Provincial Armed Constabulary (PAC) to rejoice. Not only those with a big, twirly moustache will be felicitated but the allowance for the upkeep of moustaches has been jacked nearly five times from Rs 50 to Rs 250 a month for 33 PAC battalion cops. Additional director general (ADG) PAC, Binod Kumar Singh, admits that the thought of motivating the cops to keep big moustache came to him during his recent Kumbh visit. He claimed that he came across a few PAC jawans with big bushy moustache at the mela while he had gone there to take stock of Kumbh preparedness and PAC deployment. Twirly and robust moustaches go well the perceived personality of a cop though it is a personal choice. "Moustache gives a boost to one's personality, especially that of a policeman,-" said the ADG. He said the aim of the moustache reward was aimed at keeping the old traditions alive. Reacting to the revival of award for most promising moustache, head constable Jai Prakash Singh attaches it to the pride of a cop. "It used to be a trend in police force earlier but now cops do away with it," he says. "In fact, young cops want to go clean shaven. It takes effort and time to maintain such moustache which the cops hardly have. So they find it better to shave it off and save the time," says another constable. However, a retired police officer said that there were times when cops used to maintain big moustaches to stand out in public and don the image of a menacing tough policeman. 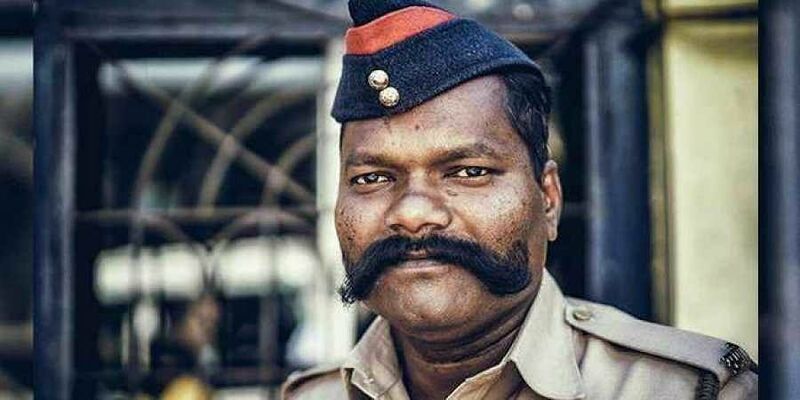 "They even command more respect than those without a moustache," says Lakhan Pal Singh, a constable in UP police. Those in police department claim that an incentive used to be given to personnel in the 1980s and it used to be something between Rs 50 to Rs 100 depending upon the will of the district police chiefs. Notably, in 2017, Mangal Prasad Pal, Ram Khelawan and Sheshanth Singh, all jawans of 35 PAC Battalion were allowed to get Rs 50 per month to maintain their big moustaches.